← How would it feel, to be labeled a criminal, simply for being born? 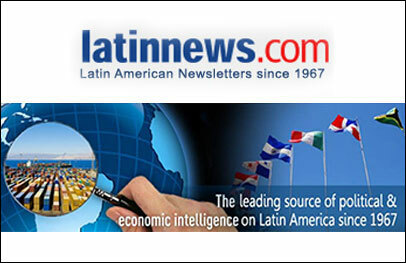 Latin American Newsletters (LatinNews) was founded in London in 1967 to provide expert political, economic, and security analysis on Latin America and the Caribbean. For nearly 50 years, it has been acknowledged as the foremost authority on the region. Users can access reports including the Latin American Weekly Report (first published in April 1967), Latin American Special Reports, covering topics of key interest, four Regional Reports (Mexico & Nafta, Central America & the Caribbean, The Andean Group, and Brazil & the Southern Cone), or the specialist monthly, Latin American Economy & Business.